Robert Hudson, FAME VP, has provided us with another great file full of information for research. This time, it’s a roster of Philippine Scouts in alphabetical order. The link to the PDF file is below. This PDF has been optimized to permit you to use search (Ctrl-F) to locate information within the file. 1941 12th medical regiment philippine scout Andrew Nero Cariaso, a brother named Numeriano or Max, Married a judges or high ranking official daughter (M.Condes ). Drew Nero Caria an Admiral of Spain? Thank you and I hope this reaches you well. My grandfather Arturo J Maypa is not on the list. How come? He was in Negros Oriental though. Good luck and thanks for asking! Admin, can find my grandfather’s record please. His name is Mimbala S. Daya-an. I recently found out that great grandfather was a private first class of the Philippine Scouts. His name is Marcelo Bunag. I couldn’t find him on the roster. I did a google search also and his name pops up under the Army and was a POW. I am trying to get his enlistment information/background since little is known throughout our family. Found my Dad’s name 2LT Leonardo M. Cancio and Father in Law PVT Jose M. Ignacio. Thank you for your research. THANK YOU for this list. Would you please tell me what “CONCOR” means? Sorry for the delay in responding. After checking around, we can’t find anyone who is certain what CONCOR means, however it appears it may be short for “concordant” since that basically means “the same thing or person” and we see the word when there are two entries for the same person. We hope that helps! Let us know if you figure it out. A book titled “The Corps of Engineers: The war against Japan” by Karl Dod tells about CONCOR. It was established in April, 1945 as the Construction Corps of the Philippines. A search on Google for this book will give a short description of this unit. A description of CONCOR (Construction Corps of the Philippines) is on page 653 of the book “The Corps of Engineers: The War Against Japan” by Karl Dod. My dad told me that my his brother Benjamin Zambo was a Philippine Scout and was one of the survivors of the Bataan Death March, but I can’t find his name on any rosters. Are there other lists available to cross reference? My maternal uncle by marriage, Col. Juan Causing, from the Visayas (Bohol then Cebu) was with the Philippine Scouts. I plan on starting some research on him. If anyone has any leads, I’d appreciate guidance. I don’t have any details re his military service at all and we’ve lost contact with his only son’s family who emigrated to Northern California before the war. My thanks to Bob Hudson (and all those contributing to the work FAME is doing), for information and hospitality. We finally met in Limay this WE. I’m based in Maryland and vacation more and more in the Philippines. My father was a Death March survivor as well. Looking for any information on my wife’s grandfather Manuel Guiuan. Looks like he enlisted in ’35 and after serving the the Filipino Scouts went active duty US Army. He is listed as a POW. I cannot find out what unit he was in or what camp he was in. Looks like he was Field Artillery. Thank you for any help! The Acronym CONCOR can be seen on the Philippine Scouts Heritage Society (Official) Page on Facebook in a comment by Sean Conejos. He Wrote the meanings of the acronyms shown on the Philippine Scouts Alphabetical Roster List. Looking for a photo of my grandfather, Nicolas Canites. I’ve never seen him. Do you happen to have one or know where I might find one? Thanks and keep up the great service! Are you on Facebook? There are several Facebook groups that specialize in the Philippine Scouts. You may have some luck there. Sorry, but we do not have any photos. hi, i just watched the news tonight on net 25. a network in the philippines. 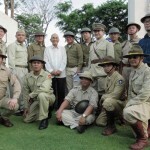 and they featured an event commemorating the Filipino veterans of the world war II. it also mentioned about the law which still exist today regarding the plight of the relatives of those filipinos who fought for the U.S. side by side. my late grandfather, SSGT Jose Rodulfa of the 45th inf. his name is engraved in the white marble slab at the U.S. cemetery in Fort Bonifacio (fort mckinley), died in a concentration camp after the death march. i and my siblings fervently asked your help re how we could be granted the benefits that were also received by other veterans and their relatives. thank you so much. Hi Admin, I found my grandfather, 1Sgt David U. Aguila, but unfortunately his service records were part of those that were burned as mentioned to me in the letter from the Personnel Records. His bronze marker though says that he is a veteran of WWI and WWII, US Army-Philippine Scouts. 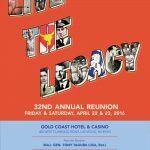 Would you have any records or info about the Filipino contingent of WWI? My grandfather, Manolito R. Ariles, Sr. was one of the members of the Philippine Scouts stationed in Okinawa, Japan in the late 1940’s up to early 1950’s. I wanna confirm if he is on the list and I am hoping to get more information or details about his rank and designation. For your favorable response please. Thank you! 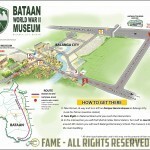 Hi, I was wondering if you have a list of Bataan Death March survivors that are still alive or any family that have information and artifacts and are willing to have an interview with me. I am a senior high school student from Indiana, USA and I am competing on National History Day. This is the link to NHD https://www.nhd.org/node/14063. I will be visiting the Philippines this coming December 2018. If you have any other question feel free to email me. No, we do not maintain that kind of list. I’d recommend going online to Facebook and look for either the Philippine Scouts Heritage Society or the American Defenders of Bataan and Corregidor pages. They may have some great contacts for you. Good luck with your project! Thank for putting this list up. 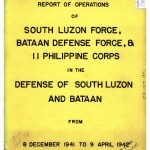 Per chance, would you happen to have any information on my grandfather and Philippine Scout, Lauro Santa Ana Pasco? He was also in the 91st Coast Artillery stationed at Fort Mills, Corregidor. Hi. My name is jerome rodulfa. My grandfather was jose b. Rodulfa. Sgt 45th inf. Battallion.survived the death march but died in a concentration camp in tarlac. We grandchildren would like to know if we have a chance to be granted a u.s. visa. Hi ! my i’m Rey Mar Esteban and my grandfather have a original copy of Guerrilla july 22 1942 WW2 . Looking for info on my grandfather tomas bautista.